Trapped inside of you - waiting to be realized - is an awesome potential. But you already know that because you feel it deep in your heart. Uncover Your Potential will help you understand why you are uncomfortable with your present state of accomplishment and dissatisfied with only resting on your past success. 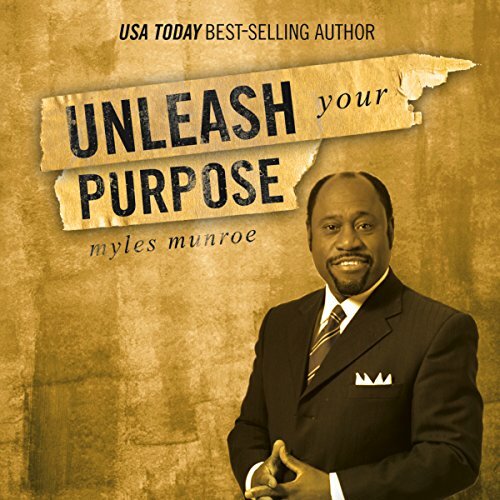 Best-selling author Myles Munroe reveals in this book the key to personal fulfillment: purpose. We must pursue purpose because our fulfillment in life depends upon our becoming what we were born to be and do. In Pursuit of Purpose will guide you on that path to finding God's purpose for your life. Are you ready to experience life on a new, supernatural level? Then it's time to take your place as a royal citizen in God's unshakable kingdom. For too long, too many followers of Christ have lived beneath their kingdom inheritance. They are saved and set-up for eternity in heaven, yet they continue to live defeated and unfulfilling lives on earth. 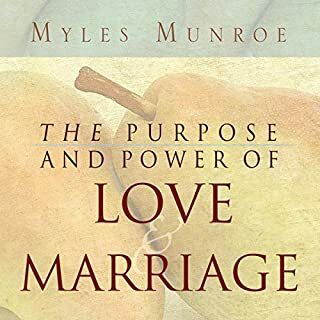 In this paradigm-shifting work by Dr. Myles Munroe, he presents the biblical blueprint for what it looks like for you to live as an empowered kingdom citizen. 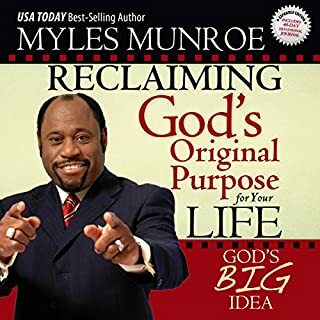 Dr. Munroe explains how reclaiming god's original purpose for your life will bring you joy, peace, and abundant living. "This big idea [of reclaiming God's original purpose] is the only answer to the deep cry in the heart of every human, and it can satisfy the perpetual vacuum in the spirit of humankind," the author says. You will find your own destiny - and an intimate relationship with God in the process! 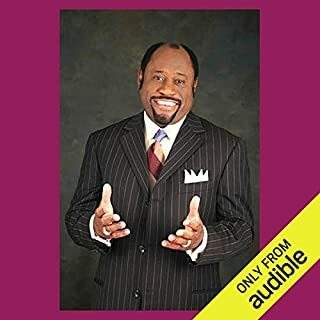 In Applying the Kingdom, the third book in his Kingdom series, Dr. Myles Munroe makes the case that the key to abundant living is found in establishing priorities in one's life and living by them. Topping his list is the priority, kingdom first! When governments collapse, human philosophies fail and your life is crashing down around you, Rediscovering the Kingdom will become your guide through the treacherous storms of the 21st century. All of the past ideologies have failed - humanism, communism, totalitarianism, fascism, socialism and even democracy. This is a philosophy, an ideology that will not fail, for it was bore in the heart of God himself. Kingdom Parenting provides answers to burning questions both teens and parents have in facing the unique challenges of being a parent or teen today. This book examines the changing times, changing family structure, and provides solutions to both parents and teens on how to effectively relate with each other though the current atmosphere of confusion. The current prolonged season of war and worldwide economic crisis has created countless personal crises. Unemployment, foreclosures, threats, and fears loom, and Christians are not exempt. You can survive and even thrive during these times. Myles Munroe teaches how to overcome any crisis by applying the sure wisdom and the time-tested principles of the Kingdom of God. a must read! fantastic book. There has never been a better time to be alive! God's plan since before time began is about to unfold worldwide. He is going to establish His rule through people like you. He will cover the Earth with His glory by pouring Himself into His people. This book is another exciting addition to Dr. Myles Munroe's series on the Kingdom of God. God's Big Idea shows how God wants to make the Earth a place of Kingdom harmony and peace beginning with you! Dr. Myles Munroe, in his best-selling book, Rediscovering the Kingdom, revealed that the kingdom of God is the true message of the Gospel and the only message that Jesus preached. 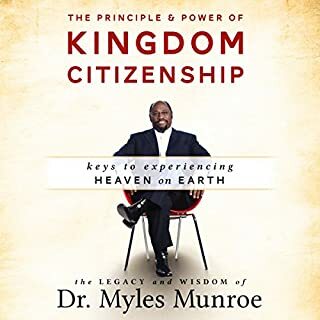 Now, in Kingdom Principles, the second book in his Kingdom series, Dr. Munroe insists that we cannot appropriate and enjoy the benefits of God's kingdom until we understand how it operates. What is true faith? 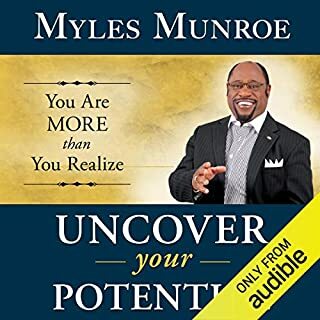 In The Power of Kingdom Faith, Dr. Myles Munroe strips away the common errors and misconceptions surrounding faith to reveal the nature, character, and power of true faith, or, Kingdom faith. Kingdom faith trusts not in the promises of God but in the God who promises; seeks not the blessings of God, but the God who blesses. Kingdom faith will always be tested, but because it places its trust in the king of the universe, will always prevail under testing. Dr. Munroe surgically removes the religious rhetoric out of this most-oft-used word- glory - replacing it with words that'll draw you into the powerful presence of the Lord. The Glory of Living not only introduces you to the power of the glory but also practically demonstrates how God longs to see his glory reflected through man. A clearly, precise, life changing word! When governments collapse, human philosophies fail, and your life is crashing down around you, Rediscovering the Kingdom will become your guide through the treacherous storms of the 21st century. All of the past ideologies have failed: humanism, communism, totalitarianism, fascism, socialism, and even democracy. This is a true philosophy, an ideology that will not fail, for it was born in the heart of God Himself. Do you know your purpose in life? Are you living up to your full potential? You can do both successfully and powerfully by learning how to unleash the plan your Creator designed especially for you! When nations and individuals lose their sense of purpose and significance...confusion, frustration, disillusionment, and corporate suicide - whether gradual or instant - will most surely follow. 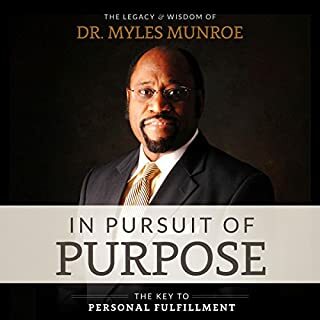 Dr. Myles Munroe's personal experiences and stories are balanced with a solid biblical foundation to help you regain your sense of purpose. You can unleash your God-given talents and skills, and benefit from your potential - every joyful day of your life! This is a beautiful book that Is actually now assisting me in starting my business. Finding this book made sense of all the questions and through prayer God reminded me of the scripture of the farmer and the talons. I have never read a book on purpose like this one. This blessed me greatly and I learnt a lot that I have never exposed my ears to before. I will defiantely be living by the principles in the book and take my pursuit of identifying my purpose seriously. God bless Myles Munroe. The author provides a robust discussion on the subject of purpose. Well worth a listen.. I like the voice of the narrator..